I noticed that TamiyaClub has a Retro BMX thread, but it is a bit specific as it pertains to bike style. Earlier on this forum, I sold off some parts and cars to fund life-related things and help stay afloat during some trying times. Happily, things have improved since then - I have employment, which while not in my field, is still quite welcome. During all this, I had been working on my bicycle. A long time ago, I bought a Schwinn Volare 1300 from a department store as my first road bike. I wanted a cheap one - even if it meant some components were subpar - to see if I would like it without dropping the $1 000+ that a "real" one costs. Well, I got hooked... With some minor sorting, it held up well to all seasons, and compared to a mountain bike (which I was coming from), it simply flew. Modifications were a manifestation of my love for RC cars. 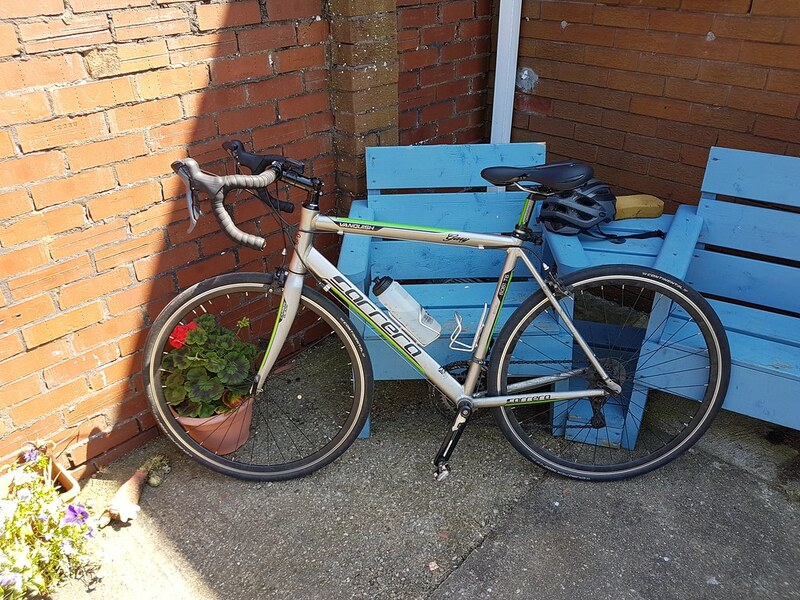 Gradually, the bike lost its bar-mounted shifters and awkward-looking handlebar stem for integrated brake-shifters and a donor piece from another cheap bike. I did it myself, using Asian-made parts - sounds like a certain hobby of mine! Generic wheels, tires, crankset, bottom bracket, 7-speed freewheel, and brakes have all been swapped out for the 10-speed Shimano Tiagra groupset, while the generic derailleurs were replaced with the microSHIFT R10 groupset components. 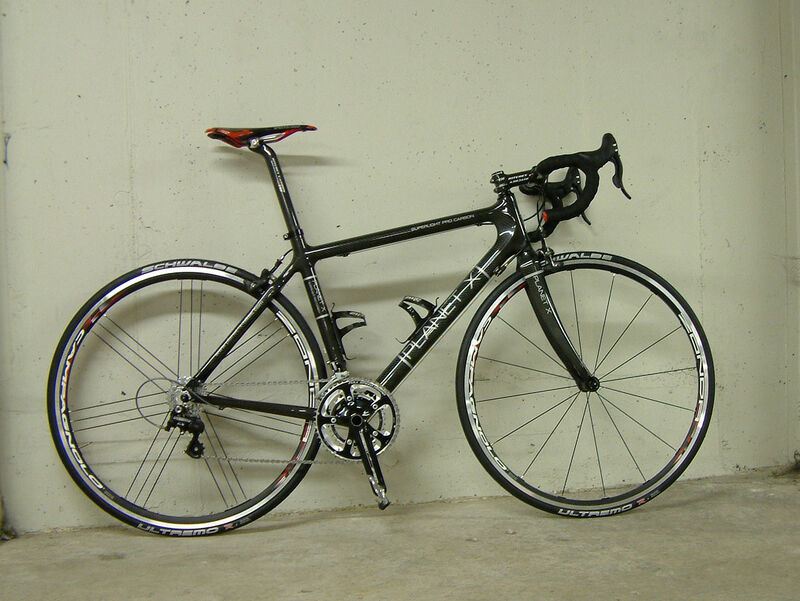 The shifters went from Shimano A050 (stock) to microSHIFT 7-speed to R10, as well. A department-store bike was never meant to have parts like this, even if the saddle is also from a department-store donor bike! Can you guess the three models from which the decals were used? ... 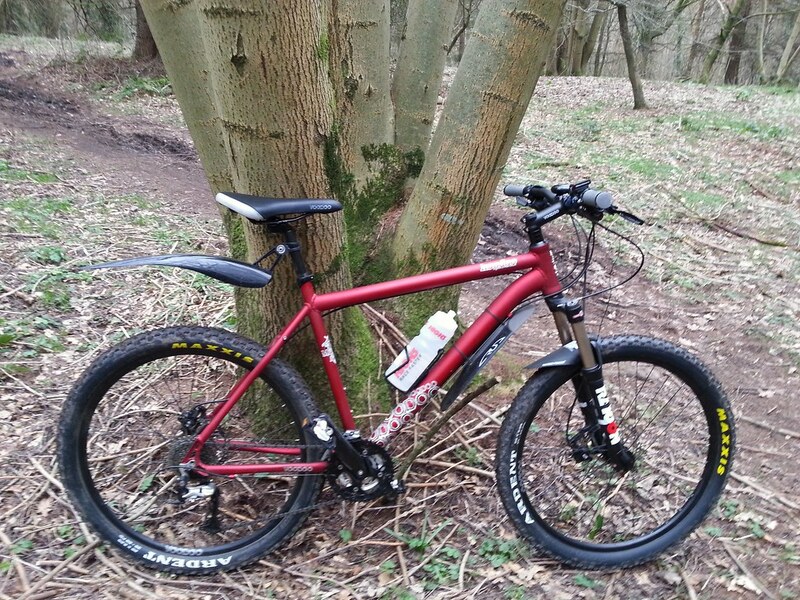 But then, that is more or less the point of this thread: what do you ride? Nice touch with those decals on your bike! Mine is a VSF T-50 I bought two years ago. When I used to live closer to work, I rode it back and forth daily. Now that I'm a bit too far away, I rather take the underground during weekdays and try to get at least a mileage of 40 km out of my bicycle every weekend, as long as the weather is playing along. 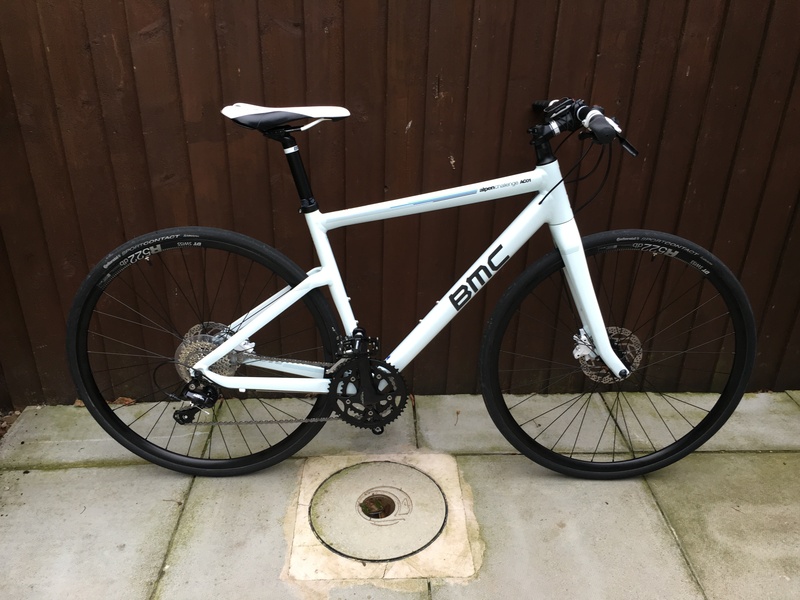 It is of decent quality, with an 8-speed internal gear hub (so nice being able to shift even in standstill in front of the traffic lights) and hydraulic brakes. Has run about 2000 km overall, and maintenance is rather low. I had to replace the chain once, the hub needed new oil once, and the rear tire needed repair and replacement two times. I replaced the stock grips with ergonomich ones (Ergon GP1), they do a good job to cure numbness in the hands on long runs, although I'd like to upgrade to GP2 or GP3 for more variation in how I can grasp them with my hands. This bike is like a loyal workhorse to me. All the bikes I had before where pretty craptacular, either used and with half of the gears not working, or new but way too cheap for anything serious, plus they needed lights and other accessories to make them street legal. My "Thorn Club Tour" frame made by Andy Blance of St Johns Street Cycles. Tandem rear stays fitted as I had a habit of snapping normal bikes just behind the bottom bracket. I got it six years ago. This was before I knew much about bicycle maintenance; once I shredded the freewheel I gave up on it and let it languish outside for a year or two. I came back to it later to find that the freewheel was the only problem aside from excessive rust on parts like the chain, so resurrected it for cheap. All this time later, it has proven to be a heavy but reliable cruiser. The cranks still rotate quite freely and the gear ratios are favourable for leisurely spinning, while the full suspension soaks up anything that would shake me up on or even knock me off my road bike. The freewheel and rear axle were replaced quickly, and the tires were swapped out once the rear lost its tread. The seat was traded from my road bike. I rebuilt the grip shifters, which necessitated replacing the handlebar grips (amazingly, they were kids' bike parts!). New cables and housings were needed to get the shifters working again. 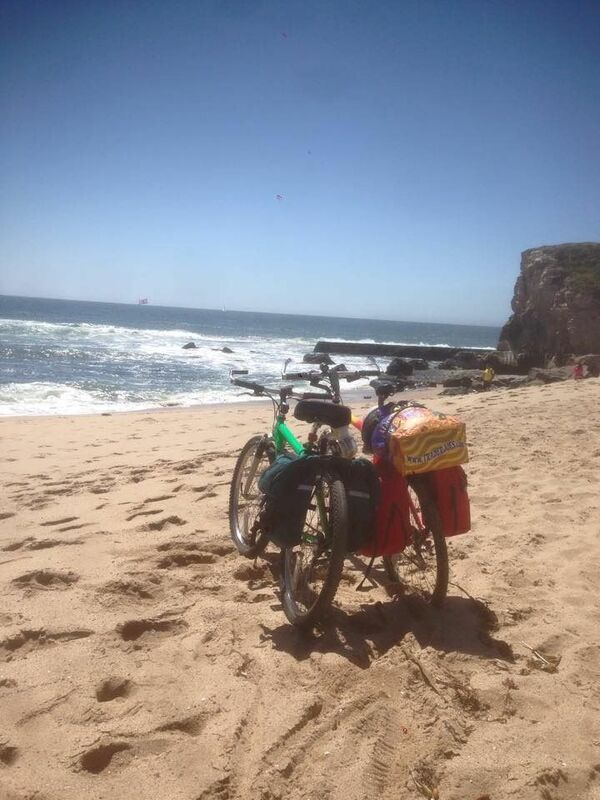 That was about all this bike needed to keep going for the years it has been on the road and trails. It mostly lives on the streets now; I added the rearview mirror, bell, and lights about three years ago. The fender is a welcome addition on wet days and has been serving on the bike for four years. The time spent outside has given it a nice theft-deterring patina, though I lock it up twice out of habit. 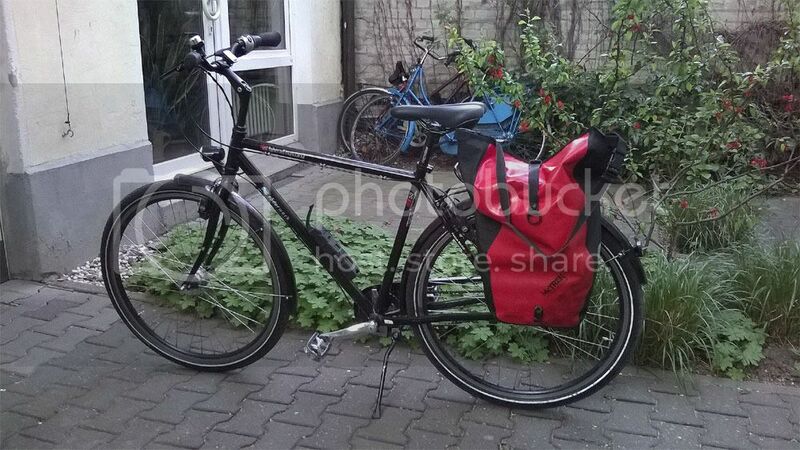 Unlike my other bike, I can carry the locks on the bike itself, which frees up space in whatever bag I am carrying. This is useful for the outdoor work I am presently doing, since less space in there for locks is more space I can use to store water. It is quite an effective commuting machine. Whatever the case, I am just happy to have a choice of wheels every time I ride! I like your beater bike. That rear fender is something I have been wanting to get for mine since I got it. Yet, I never think about getting it until I come up on a puddle and have to slow down to keep it from spraying up my back. 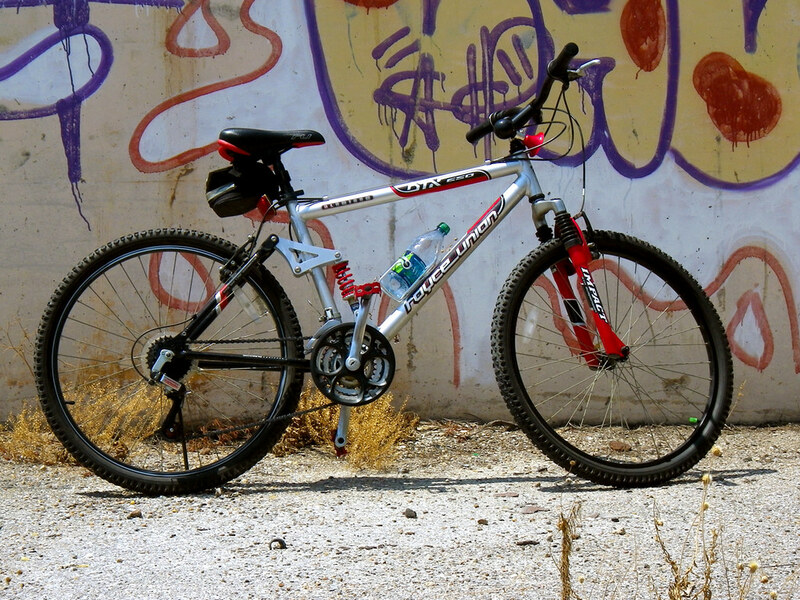 I used to have a voodoo hoodoo too fantastic bike. I rode it around uni. 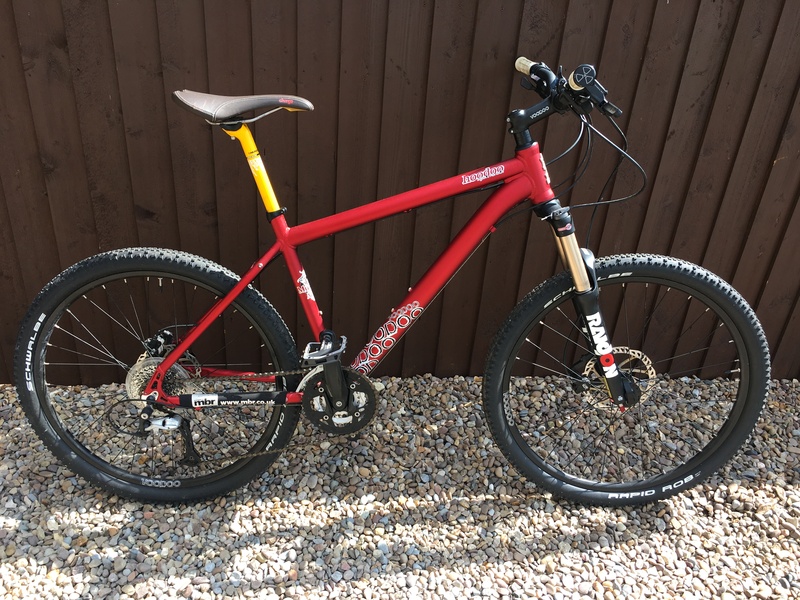 I tried riding it on the trails but I was too scared 28 year old me didn't have the same balls as 16 year old me lol so I sold it. 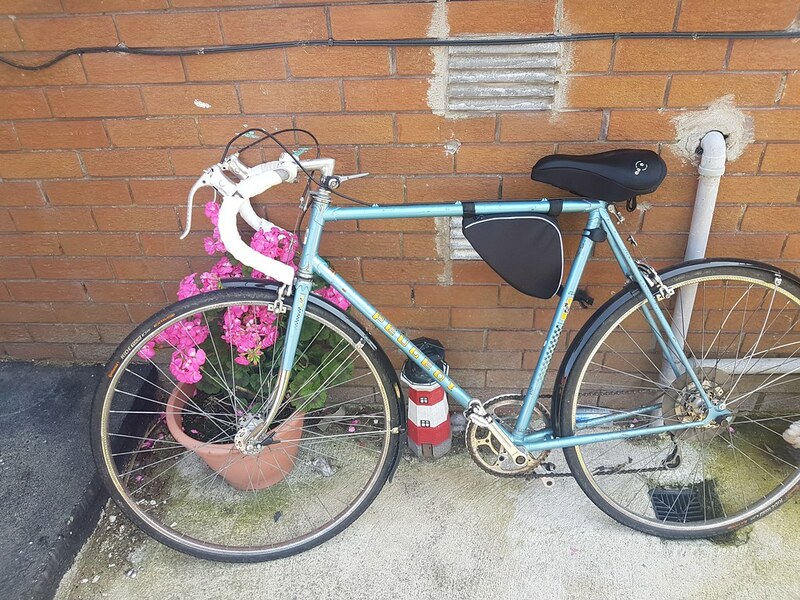 Last summer I bought a vintage late 70s Peugeot road bike. I used it for a week or 2 before I bought a modern road bike. I still use the Peugeot to nip down the town or round the shops. It only has the large front sprocket and the front derailler is missing so it's really only any use on the flat. I put mudgurds and some modern tyres on it. 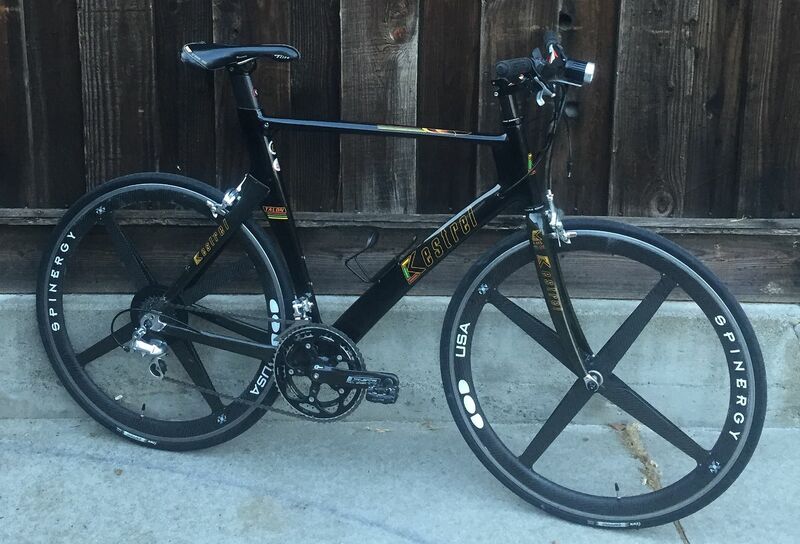 My modern race bike is a carrera vanquish. 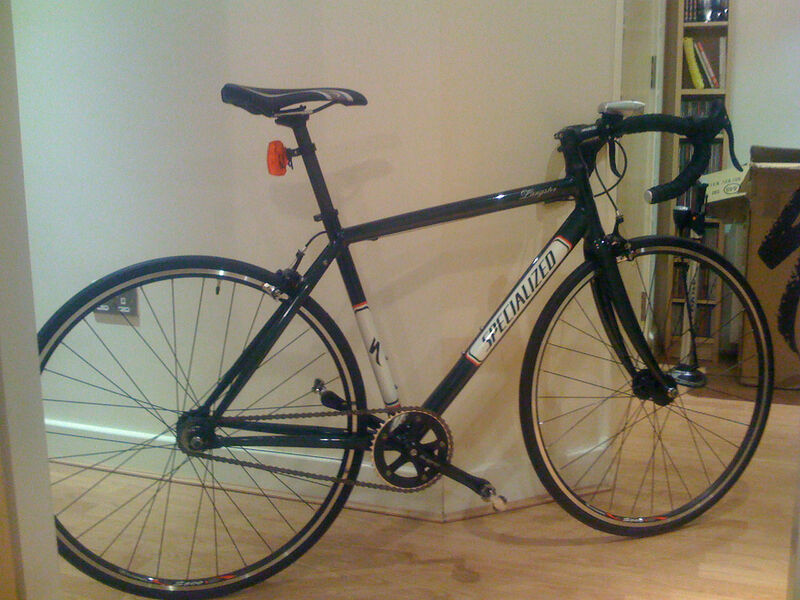 The only things I changed were the saddle bar tape and tyres to some nice fat 28mm to hold fat me lol. It's done 2k km no trouble at all only thing I've needed to do is adjust cables a couple of hundred km ago. Current stable. Most photos from when I first got them so different locations. Photo from when I first got it. This has done 30,000 miles plus now (average 90 a week commuting). Four wheelsets, three saddles, two sets of bars, two sets of brakes, three chainsets and three freehubs. Lost count on tyres but it must be 10 pairs. Currently just a frame, fork, stem and seatpost as I transferred most of the parts to another frame. Current nice weather bike. 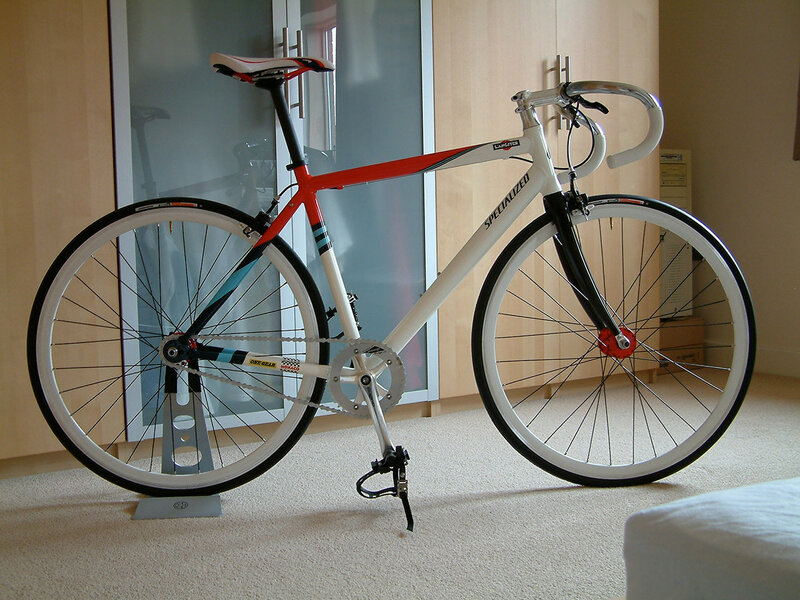 Had the frame for a good few years before I built it up. Swapped most of the XT stuff for Sram X0, with twist shifters. Sold in 2013, never used it. 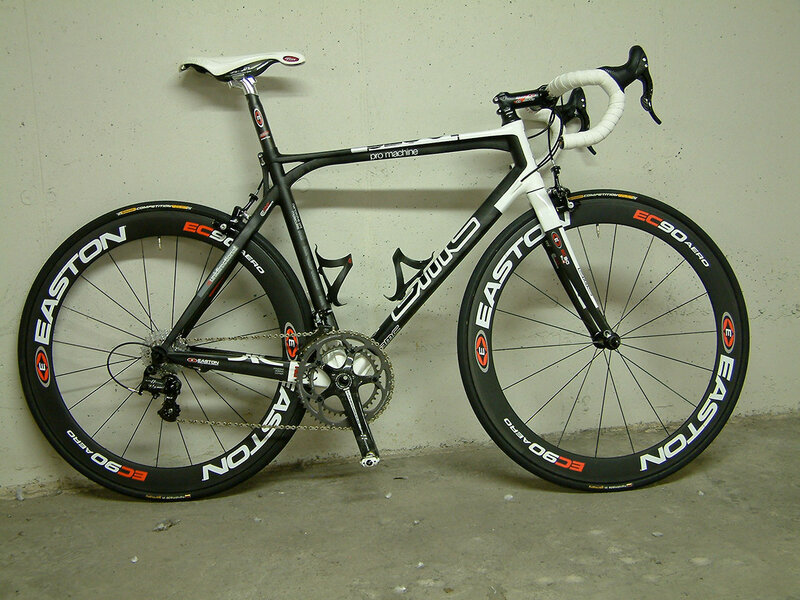 This was built from a frameset as a replica of the team bikes. Super Record 11, EC90 carbon wheels with tubulars. 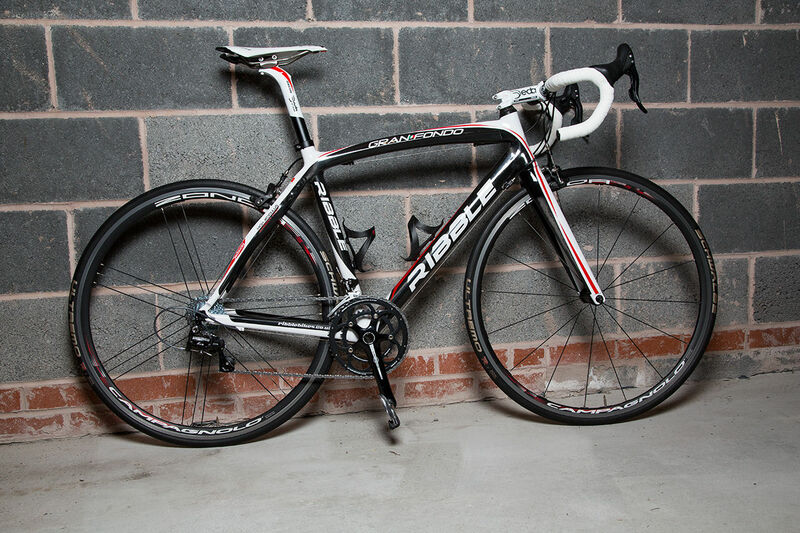 By far the best bike I've ever had, but I no longer race so wasn't getting the use out of it and wanted the money for other things. As you can see, my love for Tamiya is alive and well. I just thought the cheap stem I bought looked... pedestrian! It might get fitted soon, as the one I have presently is just a touch too long and a bit rusty. Since Photobucket ate my pics, here's more recent one from last week. In 2015 I got back on a bike for the first time since I was a teenager. So much modern stuff to get my head around, but still the same underneath it all. Kind of like coming back to Tamiya after such a long time. 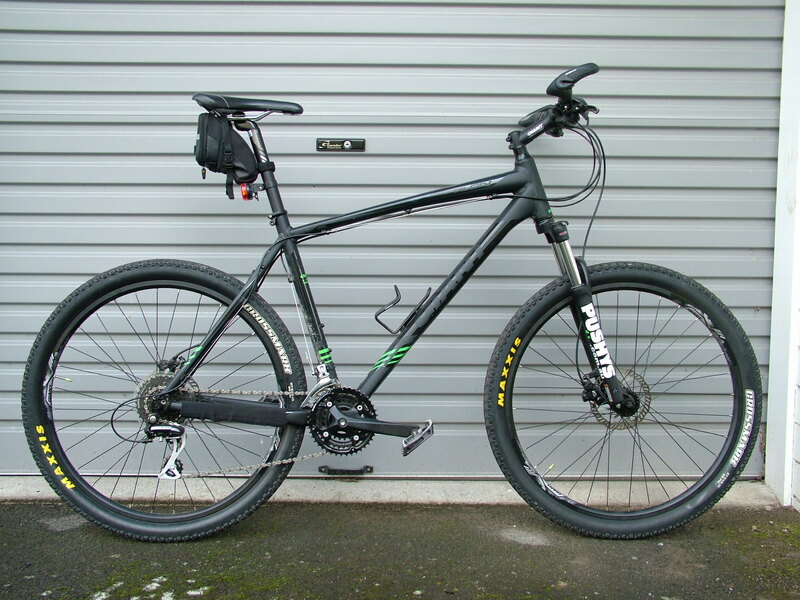 I bought a Giant Talon 650B mountain bike, figuring I'd get something from a quality brand but inexpensive if I decided I didn't like it. I was surprised how much I liked it and wish I'd done it a lot sooner. It's still got the basic no-frills gear but I've added better tyres, some platform pedals, and handlebar grips. 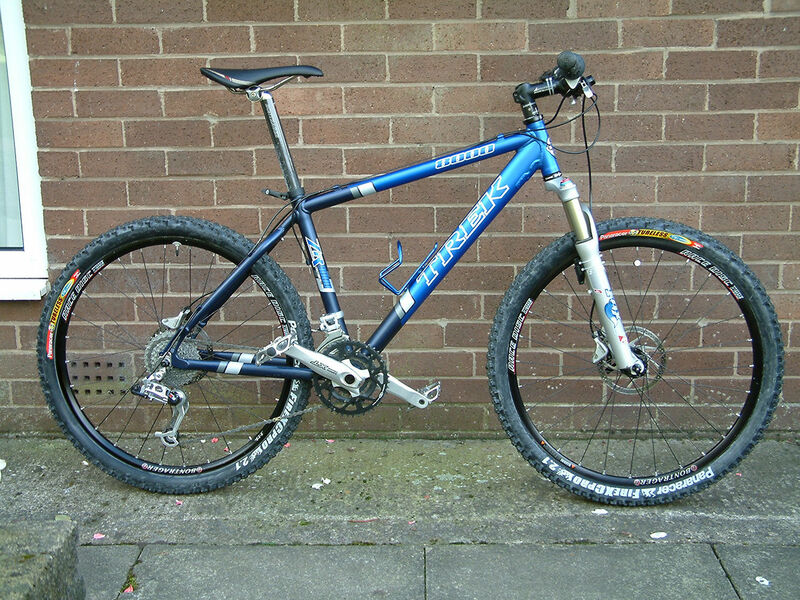 I'd like to update a few things like the fork and drivetrain but I'd be better off saving for a nicer spec 29er. I'd have it if I wasn't buying Tamiya stuff so often of course. You have a perfect country for some good riding. Sure do. 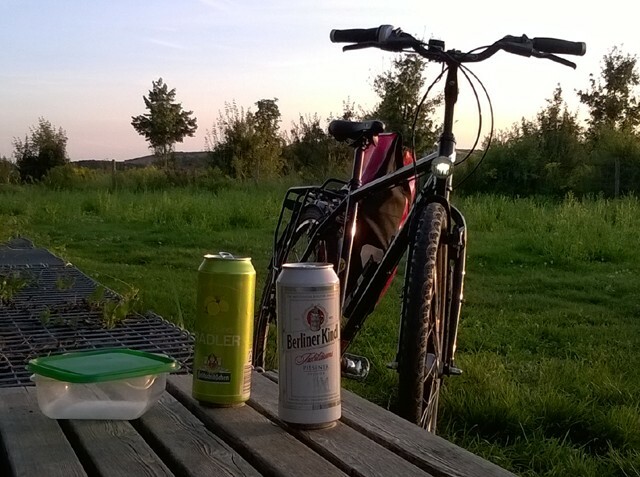 I've even got a mountain bike track close enough that during summer I can just ride there, do some laps, and hope to have enough left in me to ride home again. The plus sized tyres look really good. I'd like to try the 29+ size but the downside to living in NZ is the dealers don't carry much stock in the largest sizes. The latest upgrades comprise a full carbon front fork and a carbon seatpost. I suspect they have allowed me to feel fresher after long rides compared to the aluminum bits that were previously there. There is a measurable amount of weight off the front end, too, as a result. They would have been great for the last charity ride I took part in, but as it stands I am happy to have them. Unfortunately, I could not continue using the Shimano Tiagra front brake I installed for the new fork due to insufficient drop, so a set of Miche 57 mm brake calipers are on their way. The stock front caliper is filling in for now, which has given me perspective on the range of performance that can be found from caliper brakes! Surely they are not all equal. I agree with you on the carbon fiber. On my mtb touring bike I have a carbon seat post. It has a small amount of flex that helps dampen the hardtail frame. I kinda went off on the deep end with carbon fiber on my Kestrel. It looks great and It's very light weight but feels fragile so I only use it to ride between home, the light rail train and work. Today is my recovery day, so I serviced the setup. The chain and bottom bracket got attention, and I finally gave the mat a wipe. 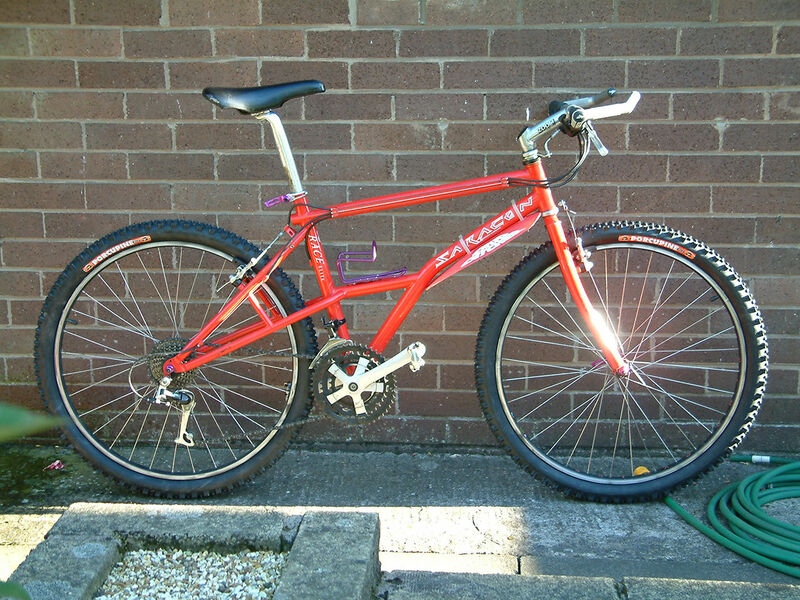 I've got a GT Timberline that's from around the mid 90's. It had a Rock Shox fork on it, but the fork got stolen. I attempted to put another fork on it off of a trashed bike of unknown brand that I found, but it doesn't fit and has a lot of play. I read something about old style and new style forks, but don't know how to tell which one I have or need when ordering online. By any chance, did you have any trouble finding the correct forks for yours, or do you happen to know what fork I could need for it? I can take a few pics or get numbers off of the frame. I just don't know where to go from there. Thanks. What part of the tube do I measure? 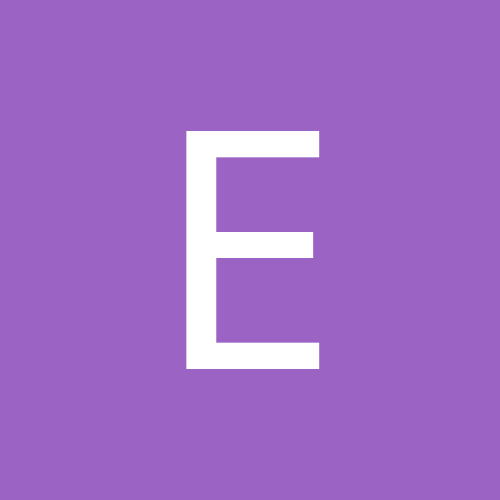 The flanged part at the top/bottom, or the actual tube itself in the center section? Too bad those eBay forks don't ship to US. Thanks for looking. Thanks. I assume that I am to measure the inside diamter of the tube? I'll pull the bad fitting fork off and measure it this evening.